My favorite Saturday morning consists of coffee, yard sales, and a trip to the farmers market in our neighborhood. And there is no Saturday morning more exciting than when the market is full of the first springtime harvest! The excitement is palpable—people are glowing and the air is filled with the smell of strawberries. Farm fresh, locally grown strawberries are marvelous. Small and sweet with a deep red color, they are different than what is normally available in the grocery store. Just look at the difference between these two strawberries! They look the same on the outside, but the second you cut into them, you can see how different they will taste! My favorite strawberry sidekick is rhubarb. When I was little I called it red celery, but I soon realized the difference when I ate my first strawberry rhubarb pie. I LOVE STRAWBERRY RHUBARB PIE. There is something about the double crust and having to wait for it to cool completely that makes it feel difficult. So for this week’s Vintage Recipe Remix, I decided to remake this classic pie into a fruit crisp with a Kentucky twist. By now I am sure you realize that “Kentucky twist” means bourbon. 1. The riper the fruit the less sugar you need to add. 2. 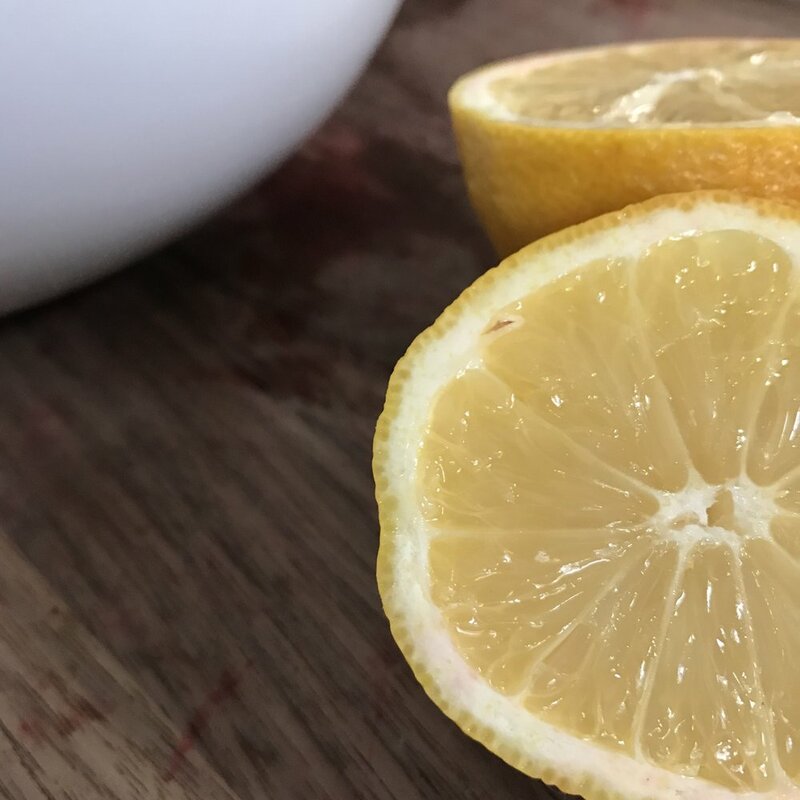 Cornstarch is a great thickener, but adding lemon juice also helps activate the natural thickening agent found in all fruit. 3. Let your fruit sit for a few minutes to allow the sugars to start to break down the fruit and create juice. The possibilities are countless—use what you have. 5. Just use clean hands to make the crisp topping. It is easiest and you can feel when it is the right consistency. Give it a little squeeze in your fist, and if it clumps you are ready! 6. When you are ready to bake, put the crisp pan on a cookie sheet. A crisp will ALWAYS bubble over and it will save you the hassle of cleaning your oven. These tips help me create down home crisps with the snap of a finger! You can serve this one with ice cream or whipped cream, but my favorite is honey Greek yogurt. It balances the whole dessert and people think it’s interesting. All in all, it may not be the prettiest presented dessert in the world, but it sure is popular at a party! Add the flour, oats, almonds, and sugar to a mixing bowl, stirring to combine. Next add the butter and combine using your hands until the mixture is sandy-textured and large lumps are formed when squeezed. Set aside. Preheat the oven to 375°F. Add the strawberries, rhubarb, sugar, cornstarch, bourbon, lemon juice, and salt to a mixing bowl and toss the ingredients to coat the fruit in the cornstarch. Pour the mixture into a 9- by 13-inch pan. Evenly cover the fruit with the Topping and let it stand for 10 to 15 minutes. Place the dish on a baking sheet so that you catch any juices that may bubble over. Bake until the filling thickens and begins to bubble to the top and the topping is golden brown—about 45 to 50 minutes. After removing it from the oven, let the crisp cool for at least 15 minutes. Serve warm or at room temperature, topped with honey Greek yogurt.